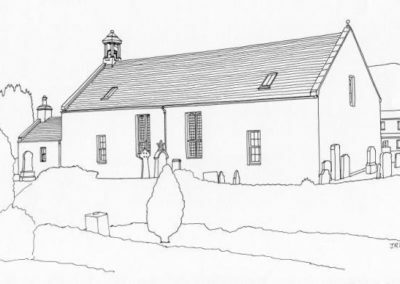 Clachan was the ancient seat of the Church in North Kintyre. 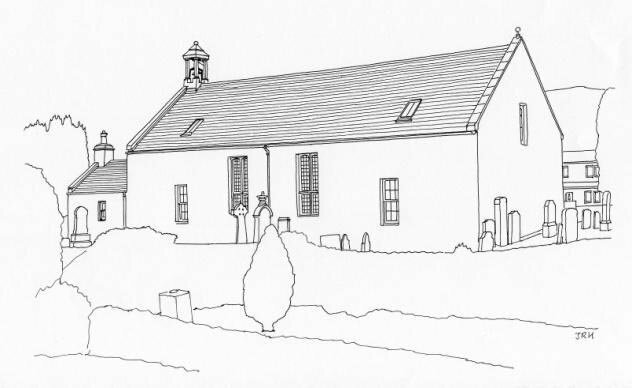 The present traditional harled oblong kirk of around 1780 replaced an earlier church on the site. The church was enlarged in 1828, remodelled in 1878 and the interior refurnished in 1900. The porch was added in 1952. Art Nouveau stained glass in the windows either side of the pulpit. The graveyard contains early Christian, medieval and post-Reformation stones. War Memorial gateway, 1921, by Ebenezer James MacRae, City Architect of Edinburgh, one of the very rare examples of his work outside Edinburgh; he included two plaques from an older structure: a knight in full armour and a birlinn or galley.